The 21st century has been predicted to be the “Asian Century,” with the role of Asia on the world stage becoming increasingly prominent. Those who wish to assume roles of leadership in this new world must first understand it. The Asian Studies Program at Saint Joseph’s University is an interdisciplinary program designed to provide students with this vital understanding by engaging them in the study of Asia, broadly defined as the region from the Persian Gulf to the Philippines, including the present states of China, Japan, Korea, Mongolia, Taiwan, Vietnam, Cambodia, Laos, Thailand, Indonesia, Malaysia, Singapore, Burma, Bangladesh, India, Pakistan, Afghanistan, Iran, and the Central Asian Republics of the former Soviet Union. Offering both a major and a minor, the program emphasizes understanding Asian cultures on their own terms through an emphasis on the study of core cultural values. 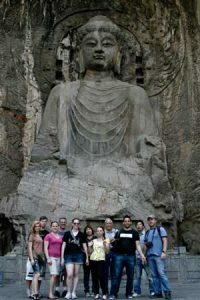 Asian Studies students prepare themselves for graduate study or professional work by studying the language, history, culture, and politics of the region. Currently, participating departments include Economics, English, Fine and Performing Arts, Foreign Languages, History, Political Science, and Theology. Students are encouraged to study abroad in the region as part of their university program.